So where shall we go and engage this this week? it is very much about engaging rather than just showing art behind closed gallery doors, no gaps to mind here, surely it should be about engaging? . Well the #365ArtDrops and ongoing of course, and following on from the rubble, the (interesting) reaction and the growth on found bits of rubbish that was last weekend’s Mind The Gap installation piece over on Tooting Broadway, this weekend it will be back to East London, the streetism and curry of a Sunday on Brick Lane and the first of this year’s Soapbox Sunday Social events.. Last year Cultivate was taking up all the time, this year the freedom that comes with the destruction of Vyner Street means a Sunday can be spent on Brick Land… There’s a photo of some of last year’s painted vinyl, I don’t expect there will ever be another Hundred Pieced Vinyl Piece, but there will be some fresh vinyl at the bat this Sunday. The SOAPBOX SUNDAY SOCIAL happens at Monty’s Bar, Brick Lane, Sunday April 5th – an all day event that starts at midday.. I shall be there on Sunday for the afternoon with very affordable art. 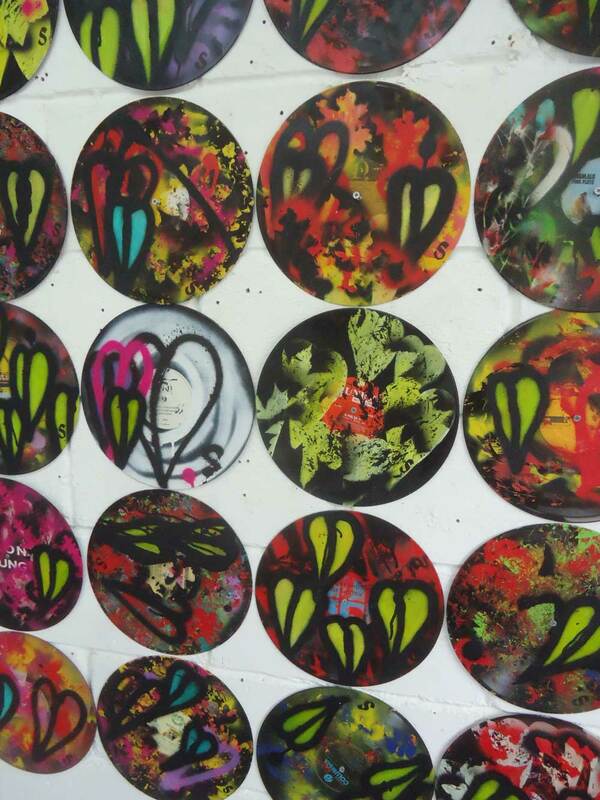 Expect some new vinyl, £10 pieces of painted vinyl, some affordable one off canvas pieces and maybe one or two pieces painted on whatever can be found on the Lane during the day. Come and enjoy a laid back Easter Sunday on Brick Lane. Sunday soapbox Alternate Sunday’s at Montys Bar. 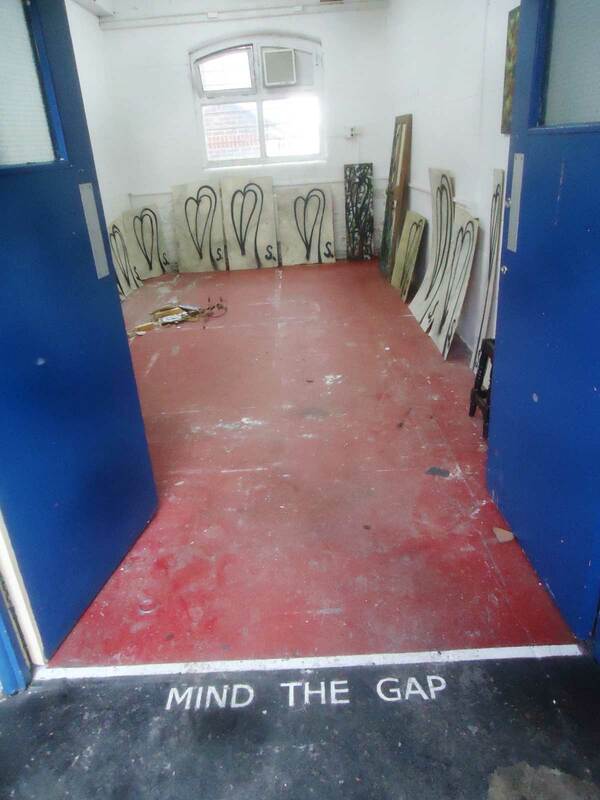 (smack bang in the middle of the Brick Lane), Expect Artists, musicians, zine makers, poets etc. Montys Bar in the heart of Brick Lane, has become the place for street artists to meet, exhibit work and “catch up over a beer or a Cocktail from the extensive menu” The Soapbox events start again for 2015 on Easter Sunday “Come down on Sunday the 5th of April for our relaunch party for 2015 with live art, music, freebees, and a whole load of Soapbox Sunday Shenanigans”. Stalls, art on the walls and things from Midday until 6pm then some liver art and performance in the evening, artists including Paul Don Smith, Lisart, Hmmm Bates, Savant, Skeleton Cardboard, Gee, Perspicere…. Next On with the #365ArtDrops piece, the latest nine parts have just gone out, here’s the photos….